When looking for the perfect floor or wanting something out of the ordinary, ask about our mixed hardwood floor. 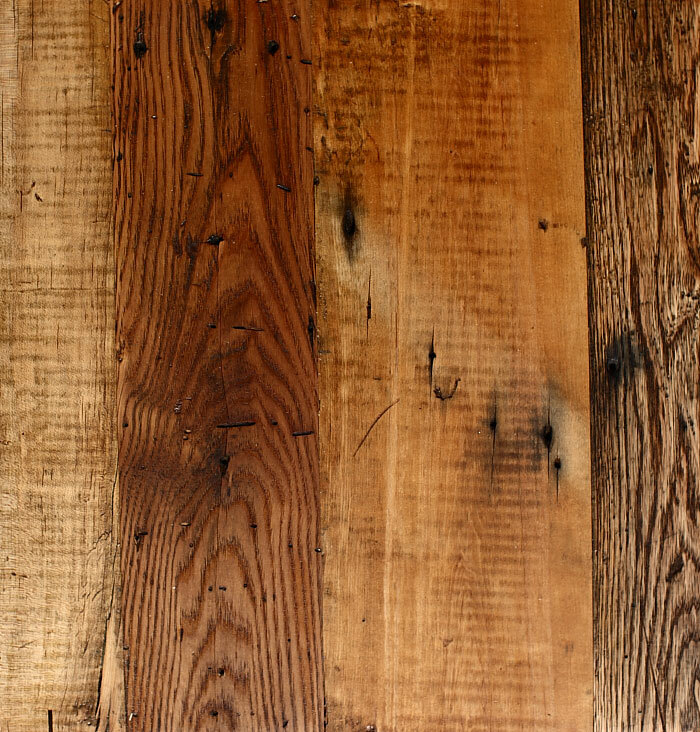 Mixed hardwood floors occurred to us as a whole structure approach. In many regions availability and proximity of tree species and forest types influenced building material choices. Numerous dwellings and structures we deconstruct are a grab bag of species. 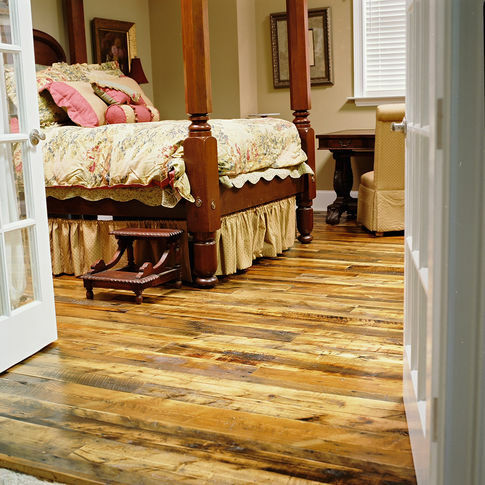 Our mixed hardwood floors reflect this frugality and prudence. These floors are invariably attention hogs, we just hope you don’t get tired of bragging on them. 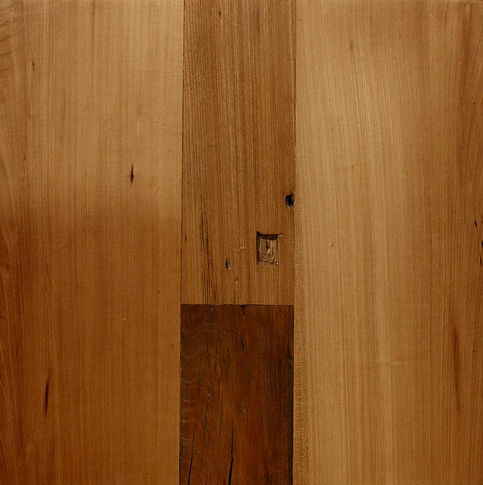 These floors may include some or all of our running line species as well as these species: American Elm (Ulmus americana,) Ash (Fraxinus sp. ), Birch (Betula allaghaniensis), Cherry (Prunus serotina), Gum (liquidamber styraciflua), Hickory (Carya sp. ), and Sycamore (Platanus occidentalis).